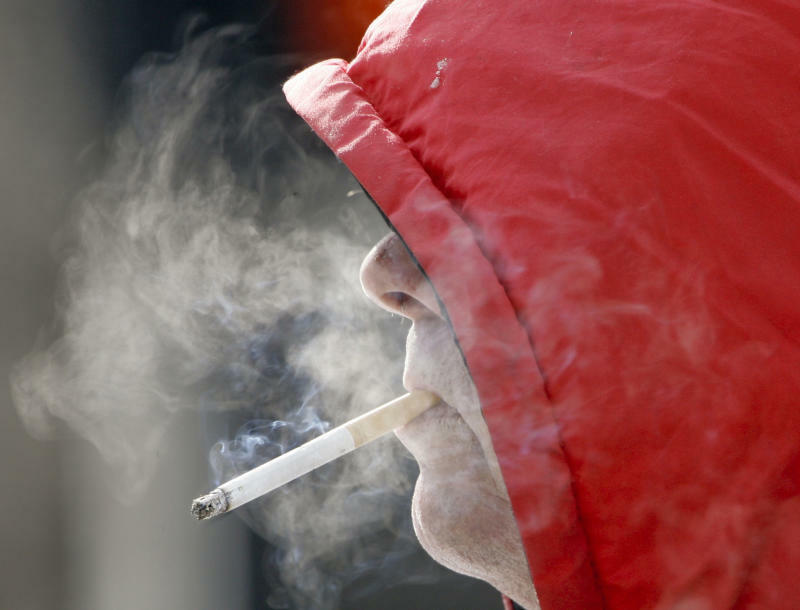 NEW YORK (AP) — Faced with the high cost of caring for smokers and overeaters, experts say society must grapple with a blunt question: Instead of trying to penalize them and change their ways, why not just let these health sinners die prematurely from their unhealthy habits? —Smoke more than the rich, and have higher obesity rates. —Have less money so sales taxes hit them harder. One study last year found poor, nicotine-dependent smokers in New York — a state with very high cigarette taxes — spent as much as a quarter of their entire income on smokes. —Are less likely to have a car to shop elsewhere if the corner bodega or convenience store stops stocking their vices. "If I'm obese, the health care costs are not totally borne by me. They're borne by other people in my health insurance plan and — when I'm older — by Medicare," Cawley said. That's the rationale for a provision in the Affordable Care Act — "Obamacare" to its detractors — that starting next year allows health insurers to charge smokers buying individual policies up to 50 percent higher premiums. A 60-year-old could wind up paying nearly $5,100 on top of premiums.